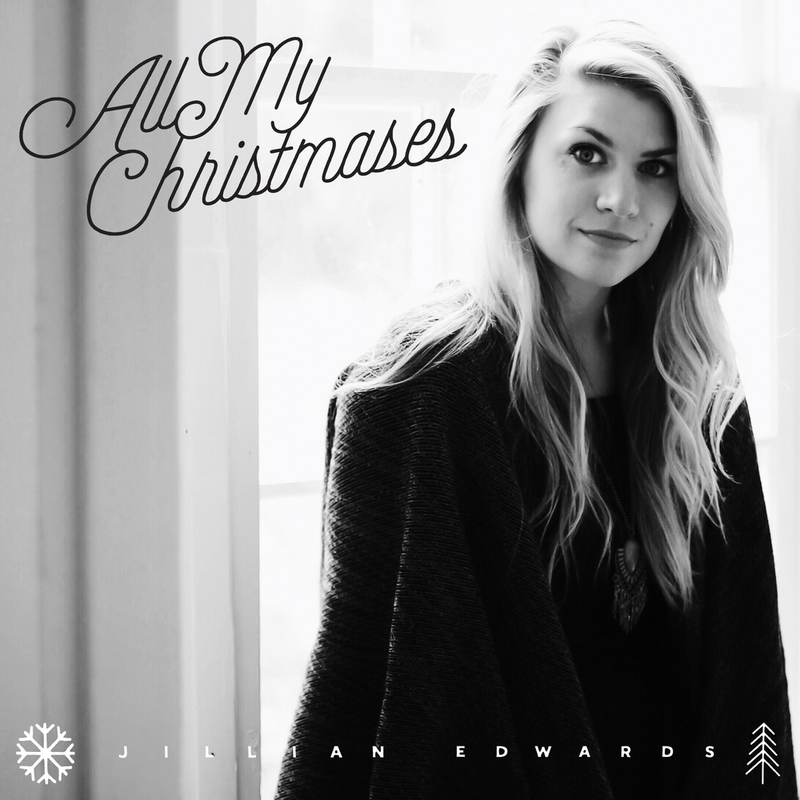 Daughter in law to CCM singer/songwriter Steven Curtis Chapman and wife to Steven’s son, Will; Jillian Edwards Chapman (known by her stage name Jillian Edwards) is a songwriter and one to look out for more in 2015 after her impressive 8 track album Daydream that released earlier on this year (March 2014). On the music scene since 2009, Jillian’s powerful melodies and vocals reminding me of artists like Ellie Holcomb, Bethany Dillon or Lindsay McCaul, is what has propelled her album Daydream into being one of my favourite easy-listening adult-contemporary albums of the year so far. Now releasing her first collection of Christmas songs, this 25 year old is mature lyrically and musically beyond her years, making All My Christmases, though an EP, one of my favourite Christmas themed melodies, alongside offerings from 1 Girl Nation, Rend Collective and Michael W. Smith. Using her ethereal voice and acoustic guitars and keyboards to bring beloved Christmas melodies to life, this album is a must if you love all things Christmas music, and if you are a fan of artists like Sixpence None the Richer, Bethany Dillon, Ellie Holcomb or Lindsay McCaul. Standing at only 4 tracks long, Jillian brings us a range of Christmas carols, holiday melodies and love songs as we hear one of music’s most underrated indie/folk/acoustic artists bringing us moments of encouragement as we are reminded that Christmas is much more than a feeling but a response to Christ’s birth and life. Bringing us easily one of the most refreshing and hauntingly enjoyable renditions of “O Holy Night” and “Angels We Have Heard on High” that I’ve heard recently; it is these 2 carols that anchor the EP both lyrically and musically. My favourite Christmas carol of all, “O Holy Night” has had many renditions, and all have been no short of powerful, emotive and beautifully crafted. From artists like Rebecca St. James and Kari Jobe, to MercyMe and Third Day; Jillian’s version is no different; with acoustic guitars and Jillian’s soulful voice (a la Kari Jobe or Leigh Nash) declaring that ‘…Christ is the Lord, Oh praise His name forever…’ With Jillian’s warm and powerful vocals being the highlight of not only this song but throughout the EP as a whole, it is “O Holy Night” in particular that is the bright spot for me, on an EP with the only disappointing point being that it is too short in length. Also bringing us a faster pace more joyous version of “Angels We Have Heard on High” complete with powerful harmonies (which Jillian delivers herself), this 3 minute 16 second version of this worshipful track is again a standout song on one of the most underrated Christmas EP’s I’ve heard since Starfield’s Songs for Christmas Vol. 1 a few years ago. 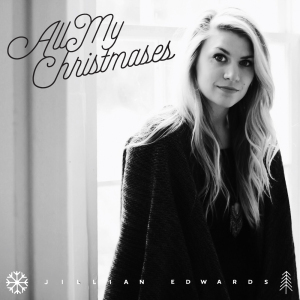 The first track on the EP, “All My Christmases”, while not necessarily a Christ-centred song, still gives us a reminder of a love everlasting as Jillian sings a love song to her husband, Will Franklin Chapman, and we are reminded of how the love between and a husband and wife is just a glimpse of the love Christ has for His church. How Jillian echoes the promise of how she wants to spend all her Christmases with her husband is something we all ought to ponder and echo ourselves- as we hopefully let God know that every moment of our lives is to bring Him glory and showcase His love to whomever we are in contact with. Ending the EP with “Mary’s Lullaby”, a 4 minute prayer from the point of view of Mary, the Mother of Jesus, complete with string instruments and powerful piano riffs as Jillian allows us to envisage how Mary must’ve felt towards Jesus throughout his life; these 4 songs have continued to remind us what reflective Christmas music ought to sound like. Jillian’s new EP, though short, is definitely worth the listen and purchase (if you enjoy artists like Bethany Dillon or Sixpence None the Richer). Highlighting the singer/songwriter/acoustic genre that can often be different and therefore shunned compared to the relatively popular CCM; All My Christmases delivers music from an honest, transparent and heartfelt individual. One of my favourite Christmas collections from an artist, alongside other Christmas EP’s/albums from Michael W. Smith, Rend Collective and 1 Girl Nation; this is certainly an EP I am going to enjoy for months to come. Well done Jillian for a well-executed and powerful EP, and one of the standout releases of November 2014!